The challenge. D.L. 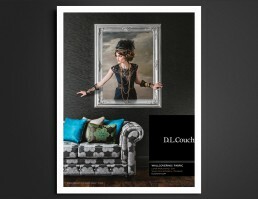 Couch melds wall coverings and fabrics with a chic sense of style. 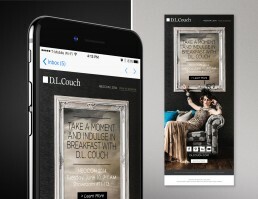 They wanted us to help them evolve their advertising through a visually-arresting campaign targeted to architects and interior designers, while maintaining the designer-focused inspiration of prior campaigns. The answer. We looked at the artistic approach D.L. 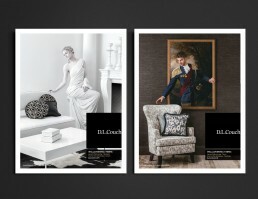 Couch takes toward the extensive collections of both their wall coverings and fabrics. In our campaign, the art on the walls came alive to reflect on the beauty of the fabrics and wallcoverings from which they hung.